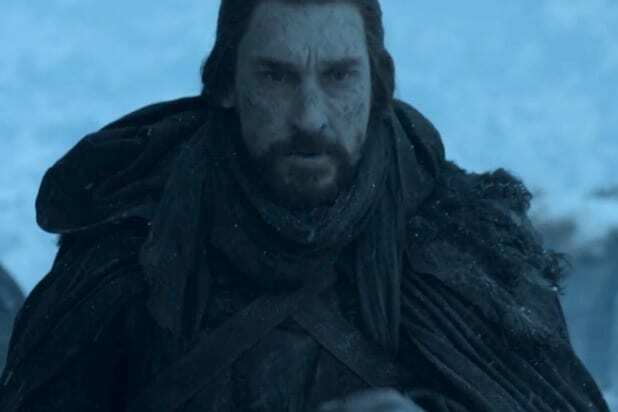 A clutch save at the last second kept a major character from entering the Night King’s army — but how did Uncle Benjen know where to be? 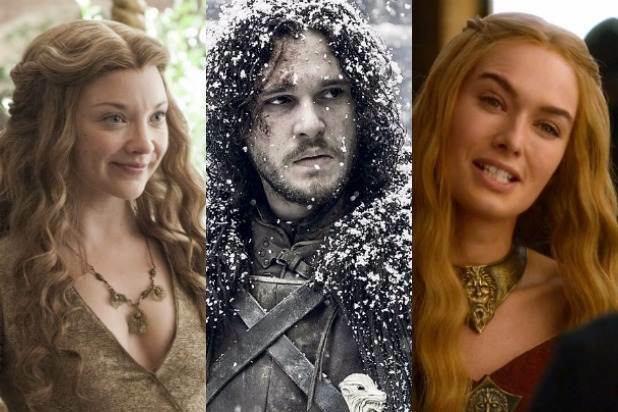 The veritable suicide mission that Jon Snow (Kit Harington) took in the aptly named “Game of Thrones” Season 7 episode, “Beyond the Wall,” turned out to be a disaster. Though Jon and some of the best warriors in Westeros managed to capture an undead wight in order to prove the people in the South that the Night King was real, it came with some serious costs. Thoros of Myr (Paul Kaye) was killed during the expedition, and when Daenerys (Emilia Clarke) arrived with her dragons to save the day, one of them was killed, too. And the Night King was able to revive it to create an undead dragon (possibly an ice dragon!) for his army. There was almost another loss: Jon Snow. In the last moments of the battle, Jon was tackled by wights and fell into a frozen lake. His allies had to leave him behind, and didn’t see him emerge from the water a few moments later. It looked like, for a moment, that Jon would be overwhelmed by the army of the dead and killed. But someone popped up out of nowhere to save him: Benjen Stark (Joseph Mawle), Jon’s uncle and a former member of the Night’s Watch. But how did Benjen know where to be in order to save Jon’s life? We don’t know for sure, but given the information we have about Benjen, we can extrapolate that he was told where to go to save Jon by another Stark: Bran (Isaac Hempstead Wright). And Bran likely used his magic powers to convey the message. Benjen hasn’t been on the show much, so it’s easy to lose track of him. In Season 1, he was a ranger at Castle Black, and ventured beyond the Wall on a mission. He never returned, and it was presumed that he was killed. But back in Season 6, Benjen reappeared. He saved Bran and Meera Reed (Ellie Kendrick) from wights that attacked them as they fled the cave of the Three-Eyed Raven. Benjen later explained that he’d been killed by the White Walkers, but the Children of the Forest saved him from becoming a wight by stabbing dragonglass into his heart — in much the same way they created the Night King. Ever since they saved him, Benjen had been in the service of the Three-Eyed Raven (Max von Sydow) — when Benjen saved Bran and Meera he told them he was sent by the Three-Eyed Raven, probably telepathically. But ever since the Night King killed the old Raven, Bran has become the new one. It’s not much of a leap, then to assume that Bran used his Raven abilities to contract Benjen, much like the old Raven must have. Knowing what was happening to Jon and the others beyond the Wall, Bran could have sent Benjen to the rescue. He might have even had some kind of plan in place to make sure Benjen survived the rescue, too — that that doesn’t appear to be the case given how Benjen was swarmed by the undead as Jon rode off. We’ll probably learn more about Bran’s actions in the final episode of Season 7. Hopefully it’ll also reveal more about his future plans, since up to now Bran has just been weird and not really participating in the larger story. What is Bran Stark’s Master Plan on ‘Game of Thrones’?